Baddow Eco Solutions also have a sister company Baddow Heating. 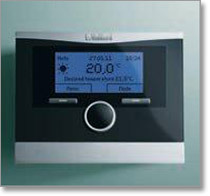 Baddow Heating established since 1996 and many years of installing domestic heating systems. Baddow Heating assess your heating requirements throughout the home and design a heating system to ensure the requirements are met. 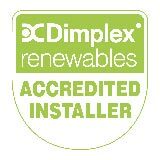 Due to the government stipulating only high efficiency boilers can now be installed. There are two types of boilers on the market , Combi boilers and Condensing boilers. Provides heating and hot water directly, This boiler does not require cold water storage tanks or water cylinder. Condensing Boilers provide both heating and hot water like the combi boiler but in a far more bespoke manner. The hot water is generated using a cylinder, the size of the cylinder will be decided by the number of bathrooms/en-suites/showers with the property. The modern condensing boiler can be located almost anywhere in a property. Both boilers provide a family size household with heating and plenty of hot water. Our engineers are highly experienced and we have found as an un-bias company that the VAILLANT range of boilers to be highly efficiency and a reliable product. 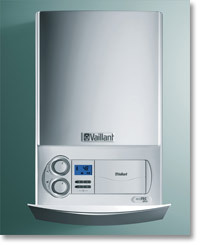 Our service includes boiler replacement (e.g. installing a boiler to your current system) ensuring your current system is providing you with all the hot water and heating demands.